Cancer Trial patients need your old devices to pass their time while staying at Linear. Please donate your old device to cancer research by clicking the button below. 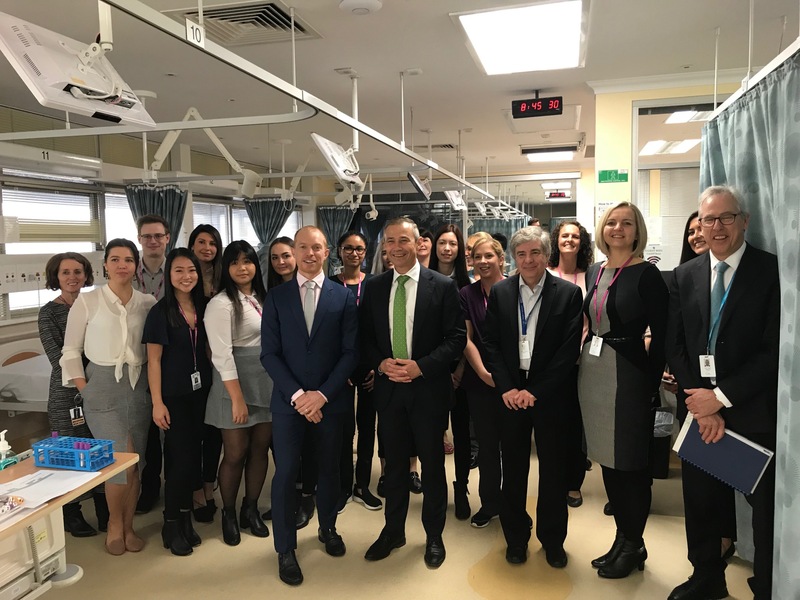 On July 30th 2018, Minister for Health Hon Roger Cook attended our facilities to announce new funding for Linear! Linear Cancer Trials is a world leading cancer research facility operating out of Linear Clinical Research (Linear) at QEII Medical Centre in Perth, Western Australia. At any one time, we have over 20 oncology trials underway. A recent media statement from the Government of Western Australia states this new development will provide new hope for patients with rare and uncommon cancers. Former federal court judge John Gilmour’s cancer spread to his lungs -doctors told him there was nothing that could be done. Personalised cancer treatment on a trial was able to completely turn this around. Watch Channel Ten’s video to learn more. Our parent company, The Harry Perkins Institute of Medical Research (the Perkins), plays a pivotal role in Australian clinical and medical research.